The fun, easy way to explore Airlie Beach and surrounds! ROBO’S (2Hr Segway Style Tours) are light & simple to control. 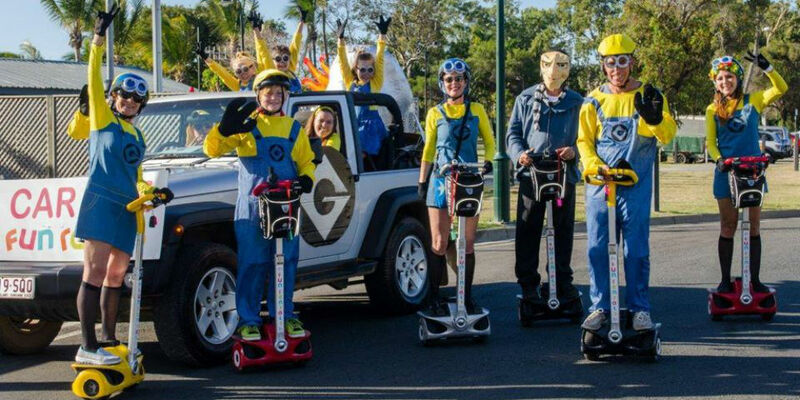 Morning Tour : Start your journey at the Fun Rentals office in Airlie Beach main street,travel down to the boardwalk to the north which follows the waterline around to Cannonvale Beach, through the Botanical Gardens and enjoy coffee and cake at the funky Fat Frog Cafe overlooking the Coral Sea. Afternoon Tour : Start your journey at the Fun Rentals office in Airlie Beach main street, travel down through town to the south which leads you to the waterline around to Port of Airlie Marina overlooking the various vessels and enjoy a refreshing drink at the unique Denmans Cellars Beer Cafe.